Stop in to share an appetizer and a glass of wine with friends and family or enjoy one of our daily chef specials for lunch or dinner. 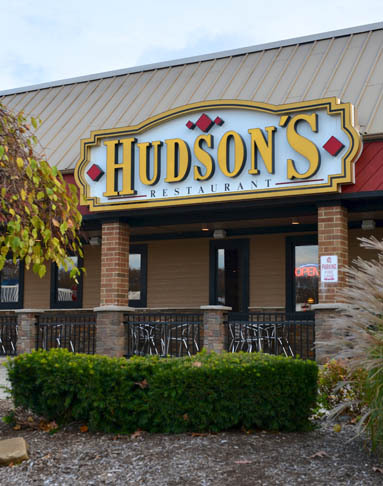 Whether you’re in the mood for a great Hudson's burger or our signature chopped salad – you'll find it here. We also offer a wide variety of homemade decadent desserts. Breakfast (Menu) - Served until 11 a.m., Sat-Sun until 1 p.m.